Buck numbers may be down from a year ago, but wildlife officials still expect good conditions for the hunt. (Courtesy Jim Shuler) Plenty of buck mule deer should be available during this year's general rifle buck deer hunt. 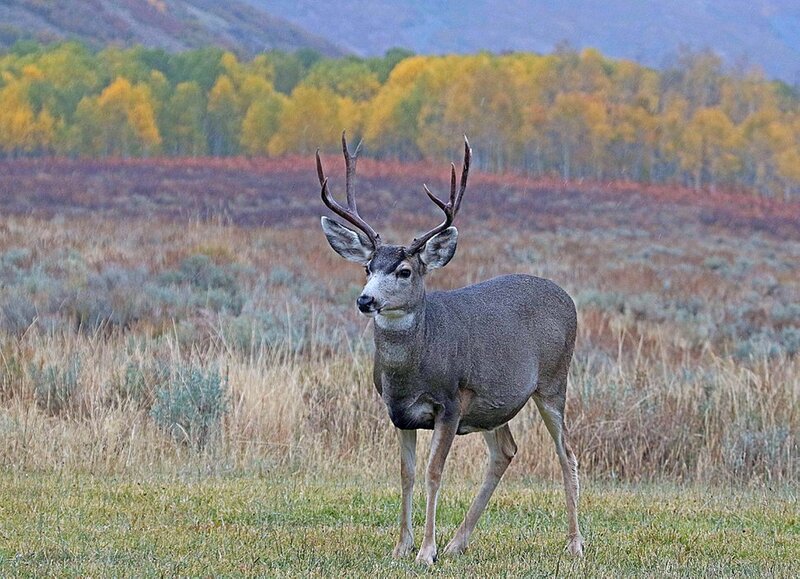 Utah's most popular hunt starts Oct. 21. Utah’s rifle deer hunt opens Saturday with an expected 60,000 orange-clad hunters hitting mountainous areas throughout Utah. The thousands afield affects non-hunters and fall outdoor enthusiasts who would do well to either visit national parks where no hunting is allowed or wear something bright if recreating near deer hunting areas. Hunters could find a more challenging hunt for buck deer. Scattered reports during the general archery and muzzleloader hunts earlier in the year indicate that buck numbers may be down a bit, according to the Division of Wildlife Resources. That is especially true in parts of northern and northeastern Utah, especially the Cache hunting in northern Utah and the South Slope unit in northeastern Utah. 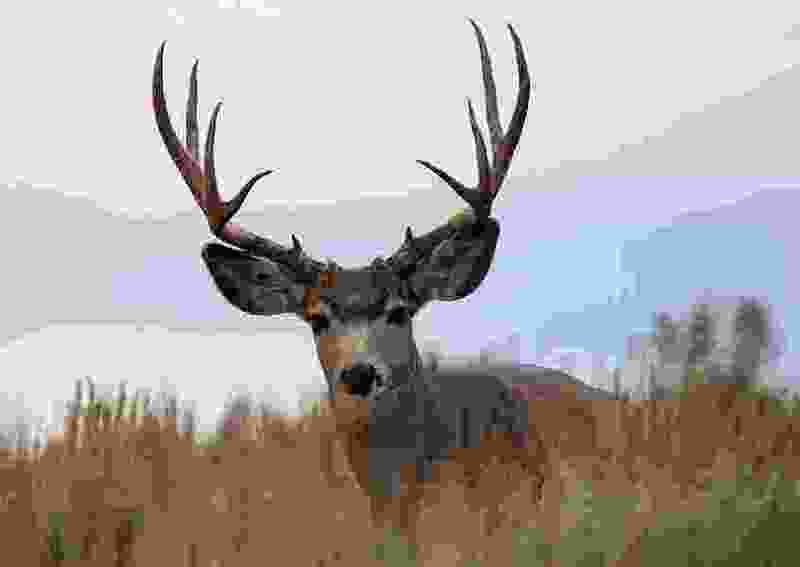 Encouraging news for deer hunters is that the number of bucks per does is at or above the objective for every Utah unit and last year’s hunt was the best in decades. Shannon expects a good hunt, but not as good as a year ago. In 2016, 87,000 hunters took a total of 32,000 bucks during the general archery, muzzleloader and rifle hunt, the most deer killed since 1996 when 104,000 took 33,000 during the three hunts. The DWR says the best way for deer hunters to get a feel for the unit where they have permits to hunt is to visit www.wildlife.utah.gov/HuntPlanner. That site offers notes from the biologists who manage the unit where hunters have a permit. It offers information about the unit, safety considerations, number of bucks, maps showing the unit’s boundaries, which land is public and which is private, and various types of deer habitat found on the unit. • Prepare your firearm by cleaning it, checking you have the correct ammunition and by visiting a shooting range to practice. For a list of ranges, go to www.wildlife.utah.gov/dwr/shooting-centers-home.html. • It’s a good idea to scout the area you will hunt at least once before the season begins, especially if you are not familiar with it. This can increase success. • Put together a small survival kit to carry, including a first-aid kit, three ways to make a fire, quick-energy snack foods, a flashlight, an extra knife, a cord or rope, a compass or GPS, and a small pad of paper and pencil. • Make sure your vehicle is in good mechanical condition and carry a shovel, an ax, tire chains, jumper cables and a tow chain. • Before leaving, make sure people you leave behind know where you are going and when you expect to return. • Know your physical limitations.